The “Rise N’ Unite” slate is a team of diverse students from various backgrounds hoping to be elected into leadership roles in the upcoming AS election. 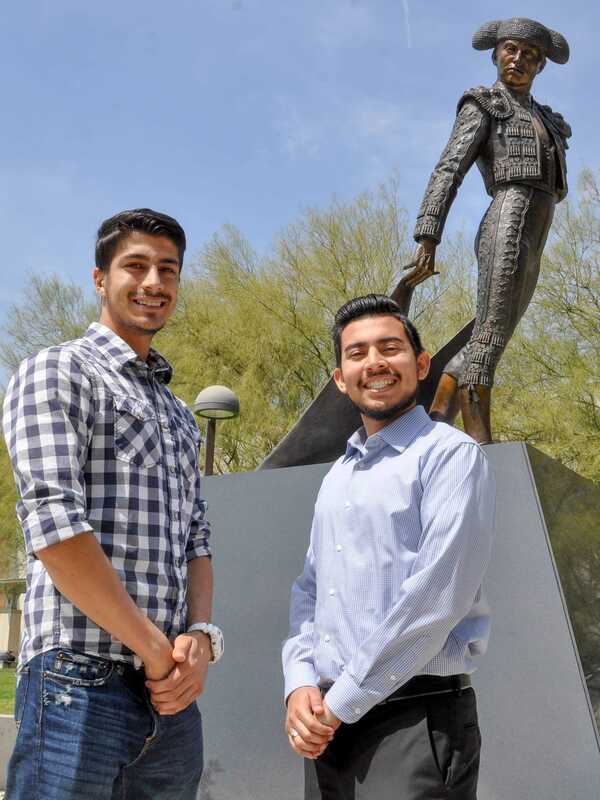 Alex Canas, a 21-year-old biology major, who is running for AS president leads Rise N’ Unite alongside Mohammad Hotaki, a 23-year-old bio-chemistry major. With a year’s experience in AS under his belt, Canas has pushed for a variety of initiatives. “I teamed up with the student involvement center to give students the opportunity to speak during commencement,” Canas said. Canas focused his attention on student concerns and needs during his time with AS, “Students wanted more resources for tutoring,” Canas said. “I worked on allocating money from the campus quality fee to create more tutoring programs,” Canas said. Hotaki has served five years in the U.S. Marine Corps as a sergeant watching over a platoon of 30 marines, “I have developed a plethora of leadership skills as a sergeant in the Marines,” Hotaki said. “The values the Marines has instilled in me are honor, courage and commitment. I instill these values in all aspects of my life and they have contributed to my altruistic growth,” Hotaki said. 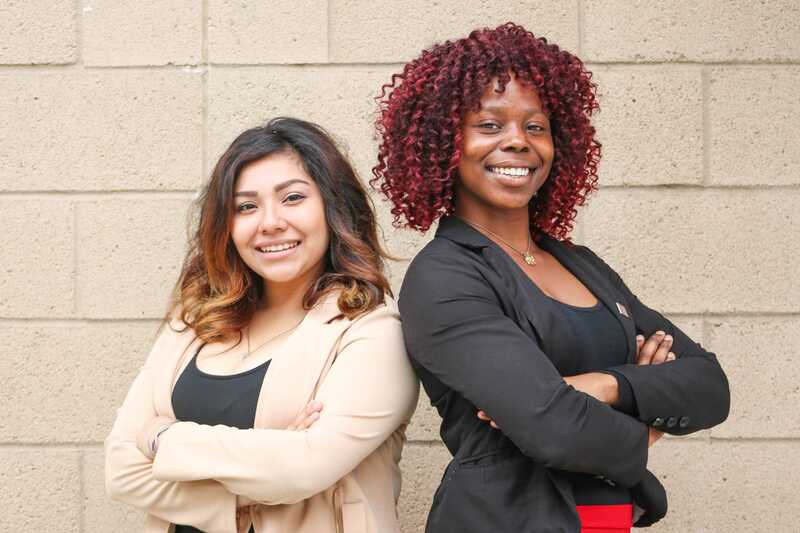 Canas and Hotaki have a number of tasks they hope to accomplish during their term including diversity initiatives, economic programs to assist students, and outreach to promote transparency between AS and the CSUN community. Addressing the recent backlash against AS regarding EO 1100, Canas hopes to promote diversity on campus and beyond, “We know that students were upset with AS and their neutral stance on EO 1100,” Canas said. “We want to take a stance against EO 1100 to make sure CSUN does not comply and we want to push for comparative cultural studies to be made available to all CSU campuses,” Canas said. The pair would like to create a diversity committee to ensure each student’s voice is heard, “The community outreach and diversity committee is an idea we had to gather leaders from various student organizations to discuss their concerns,” Hotaki said. In addition to serving housing insecure students, Rise N’ Unite would like to push for initiatives to better serve students that are food insecure, “One of our plans is to make sure Calfresh and EBT cards are available at all campus dining locations,” Canas said. To better serve the CSUN community at large, Hotaki outlines an outreach plan to connect students to AS. “The 100 day initiative will send AS representatives to 100 classrooms to talk with students and to see what they would like changed on campus,” Hotaki said. To bridge the gap between AS and the community, the pair hope to create a program that will allow first year freshman and transfer students to shadow AS members, “We want to promote values and practices to our constituents,” Hotaki said. As a member of the veteran and muslim community, Hotaki wants to be a catalyst for minority groups on campus, “If I’m elected I am going to work very hard for the students. I want to ensure minority and marginalized communities have a voice,” Hotaki said. With a number of goals and tasks lined up for their term, the pair believe their slate can get the job done, “I have discussed these plans with current administrators to ensure they are realistic and attainable,” Canas said. “We want to bring a change to CSUN and with our slate we can make this a reality,” said Hotaki.